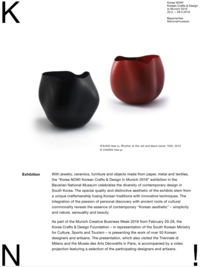 The exhibition in the Bavarian National Museum celebrated the vast diversity of contemporary design in South Korea. Korea NOW! 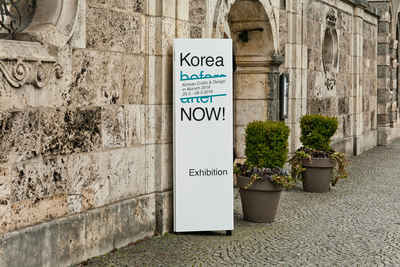 was part of Munich Creative Business Week 2016 from February 20-28 and represented over 50 Korean designers and artisans. We designed a complete identity that built on the playfulness of the exhibits. This included invitation card, poster, banner, and signage. 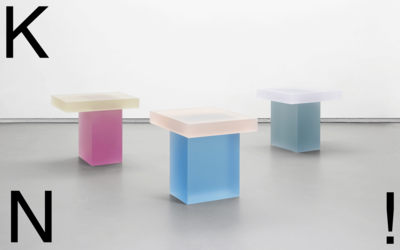 When designing the identity for the exhibition we drew inspiration from the simplicity and attention to detail of the objects, using Helvetica to achieve elegance from a common font by attention to details. 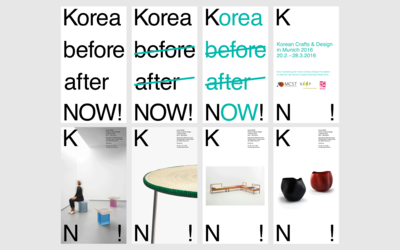 The main Logo and all text for Korea Now was set in Helvetica Regular. 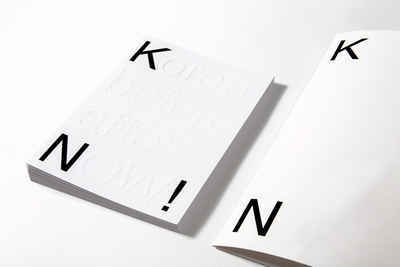 The logo also worked with its initials KN! as graphical elements as shown in the cover-image of this page. We also developed and designed a microsite for the exhibition that was used for promotional value and bilingual information. 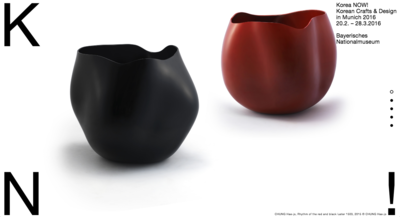 The design was based around the identity to provide a solid consistency throughout the exhibition material. We designed a poster, banner, exhibition material such as labels and walls and invitation material. We also did a slide for the entrance hall. The invitation cards was simple in design but with embossed graphics and a matt coating. 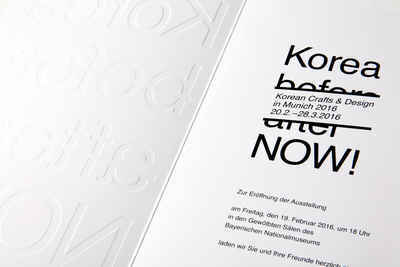 The invitation card for the exhibition with embossed graphics and a matt coating, and a folder for Press handout to journalists. 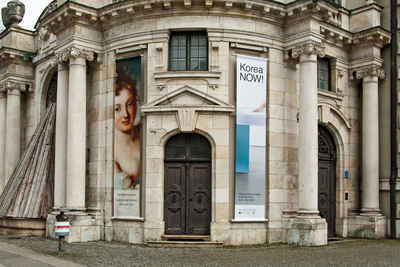 An overview of the slides we did that introduced the exhibition and its identity in the main hall of the Bavarian National Museum. 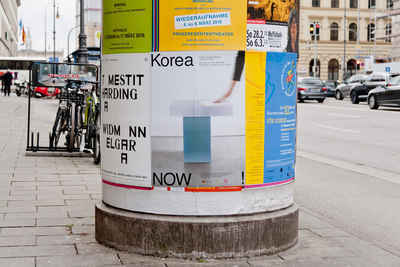 In addition we designed some signes that were placed around the complex to advertise the nearest entrance. 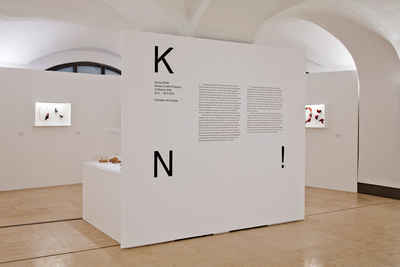 In the exhibition itself we set the wall text with the KN! logo and information about the exhibition.